We are a privately-owned business with 28 years’ experience in care. 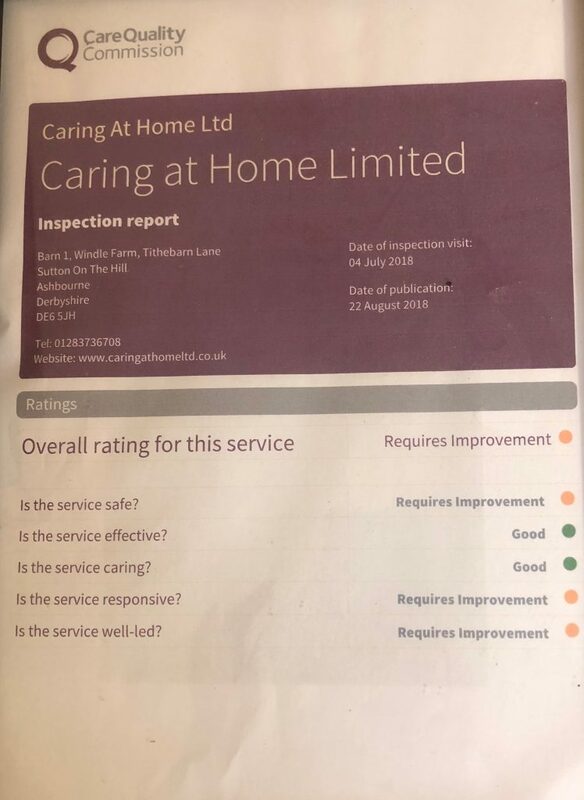 Caring at Home Ltd provides individually tailored care solutions to enable clients of all ages to remain in their own homes and have support to live an independent life. Our services are extremely flexible, we can support you on a full or part-time basis, or even just occasionally. Whether its to cover holidays or give family members a well-earned break, we can provide care support to suit your needs. The Care Manager or Assistant Care Manager meet with all clients and family to ensure we personally understand every clients needs, wishes and expectations of the company and staff. All of our clients are given our on call emergency out of hours contact number which is a 24 hr contact. we provide our services throughout Hatton, Hilton, Etwall, Eggington, Foston, Repton, Willington, Tutbury, Mickleover, Sutton on the hill and surrounding areas. Whatever your requirements or if you would just like some advice, please contact us for a chat.